BYO Friday buy one get one free! 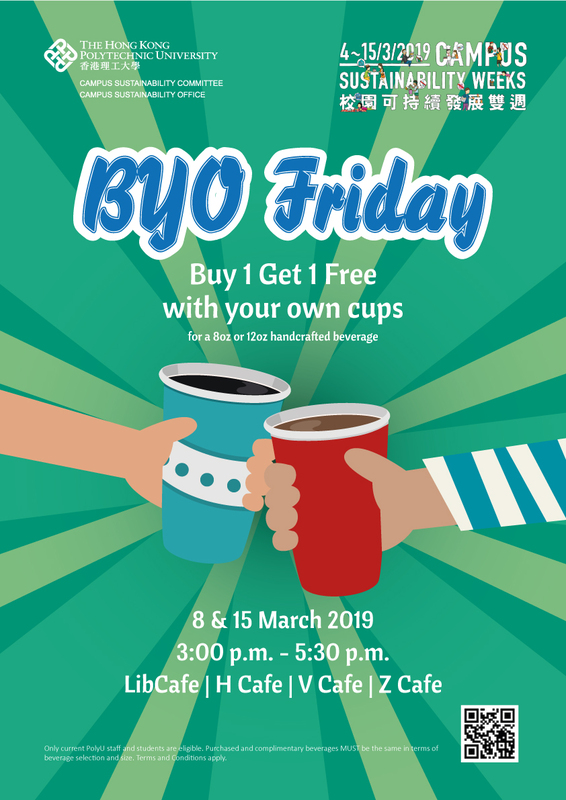 Between 3:00 p.m. to 5:30 p.m. on 8 March and 15 March 2019 (Fridays), bring a friend and your reusable cups to the following Cafes on campus and you can enjoy a special BYO Friday Discount! When you buy a 8 or 12 oz handcrafted beverage at these Cafes with your own cups, you’ll get a complimentary one of the same beverage for free! Share the joy and save the environment with your friends and colleagues, and celebrate Happy BYO Friday together! 8 March (Friday) and 15 March 2019 (Friday) – 3:00 p.m. - 5:30 p.m.
Show up at the designated Cafes with your own coffee cups. Present your Student/ Staff ID cards when making your orders during the time specified above. Enjoy Buy-1-Get-1-Free for a 8 or 12 oz handcrafted beverage. Only current PolyU staff and students are eligible. They are required to present their valid PolyU staff and/or student cards. Unable to present may risk failure to enjoy this offer. The offer is only available at selected Cafes on campus specified above during 3:00 p.m. to 5:30 p.m. on 8 March and 15 March 2019. The system clocks with the Cafes’ Point-of-sale (POS) shall be the official time-keeper. Quotas apply and the offer is on a first-come-first-served basis. Available while stocks last. You must bring your own reusable cups in order to qualify for this BYO Friday buy-1-get-1-free discount, and use them to carry the purchased and complimentary beverage(s). NO disposable cups will be provided or allowed. Purchased and complimentary beverages MUST be the same in terms of beverage selection and size. Combining the purchased and complimentary beverages (8 or 12 oz) in one single cup is not allowed. Purchased and complimentary beverages exclude: promotional drinks, bottled drinks, fruit juices, liqueur coffee, specialty coffee and Chillino. The complimentary beverage(s) refers to the lowest value of the ordered beverage(s) in any single transaction. Measurement of the drink size of the purchased and complimentary beverages is solely decided by the Cafes. Enjoy the offer only once per any single transaction when you make the order on-the-spot. Complimentary beverage(s) must be redeemed immediately with the purchased beverage(s) in any single transaction. All items are not refundable and not exchangeable. This offer cannot be exchanged for its cash equivalent. This offer is not applicable to delivery services or mobile order. Cannot be used in conjunction with other promotions or privileges except bring-your-own-mug discount. Drinks menu are at the sole discretion of the Cafes. The Cafes reserve the rights of final decision in case of any disputes. 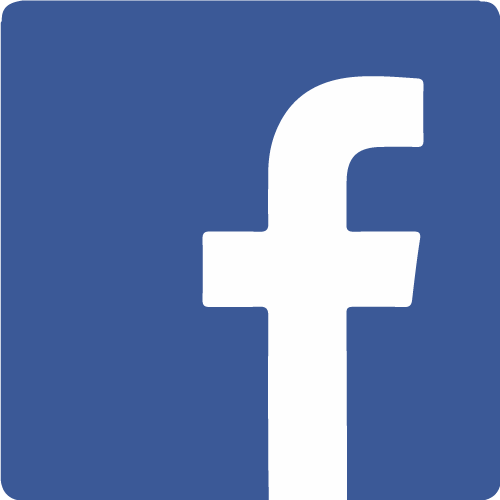 These Terms and Conditions can be updated and amended without making any advance announcement. 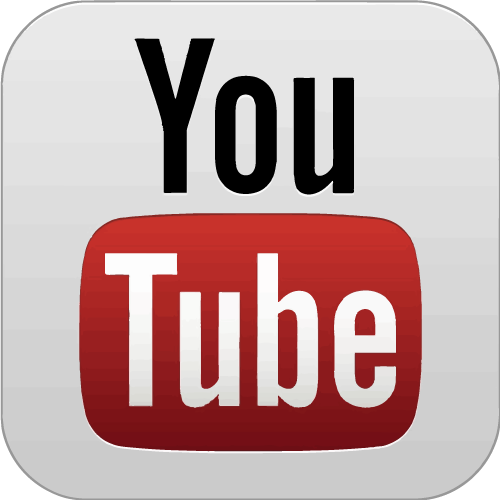 This activity can be re-scheduled, postponed, suspended, or cancelled without prior notice.